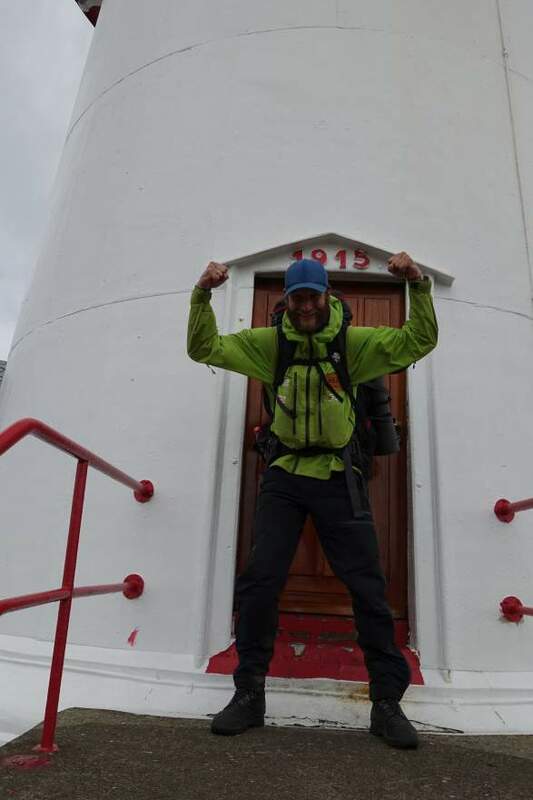 On 14 June, family man Fredrik Karlstad (39) from Trondheim stands ready at Nordkapp – the North Cape – in Finmark. He straps on his 28-kilo backpack, takes a deep breath, and heads off toward the south. Fredrik goes under the alias, "Fjellstrykeren" ("Mountain Vagabond"), and those who are interested can follow the novice adventurer on Facebook and Instagram. After covering 2,800 kilometres on foot, he reaches Norway's southernmost point, Lindesnes, on 23 September - more than three months later. "It's terribly far. It's like walking from Vancouver, Canada to Tijuana, Mexico, or from Oslo to Rome. I'm glad I didn't think it over so carefully in advance," he says with a laugh. At the start, it was tough going. His backpack rubbed him raw, and his entire body ached. "The weight of my backpack was just horrible the first two weeks, but I got used to it eventually. I knew that it would be painful, but wasn't prepared mentally for walking and feeling pain for 14 days," says Fredrik. "You actually engage in very little reflection on things. You quickly switch to just thinking about various tasks along the way and get to where you're going. You must keep walking, and you must remain focused all the time and take it step by step. Fortunately, I'm a man, so I'm only able to think about one thing at a time," laughs Fredrik. He ended up inside a bubble where everything was centred around his primary needs: Food, rest, sleep, putting up a tent, planning the next leg. Inside such a bubble, missing his family is not a major issue. Of course, he missed them from time to time, but Fredrik considers it imperative to be able to switch off that emotion in order to be able to complete such a trip. "It was very seldom that I would get to sleep past 9:00 o'clock pm. I then got up at 7:00 am, ate, packed my gear and moved on," he says. In 2017, about 15 people from Norway and other countries set off on that strenuous journey," says Fredrik. "It is suitable for people who have a genuine interest in living a simple life for a short period. During those three months, you get to experience nature at its best," he says. It's essential that you love repetition. You should also be in decent physical shape, but Fredrik believes that everyone who wants to do it could manage it. "I did lots of training in advance for both strength and fitness. The physical aspect is still less important than the mental. You quickly walk yourself into shape, but it is as much about attitude and being mentally strong. Depending on which route you choose, you will need to walk part of the way on roads. For around 700 kilometres of the trip, Fredrik walked on asphalt or gravel roads. Aside from some legs in the forest in the Trøndelag counties and eight days on the Swedish side of the border, the rest of the trip was through Norwegian mountain landscapes. "The longest leg was 45 kilometres, while the shortest leg was only 10 kilometres. Generally, I walked a total of six to ten hours each day, depending on the weather, wind and conditions." Fredrik spent an entire year preparing for the trip. Physical exercise is one thing, but you'll need to plan out your route options, equipment, and what to eat if you're travelling the length of Norway. "I also fished a little when I was up for it." Fredrik had several depots along the way with items such as food, toilet paper, batteries, chocolate and a map of the next leg. "I prepared 14 packages containing maps and provisions that my wife sent to me along the way. I had set up a list of where and when they needed to be sent, and it was important that they were sent at the right time and to the correct post office." Although you can plan a lot of things, you can't do anything about the weather. The summer of 2017 came late and was rainy and short. 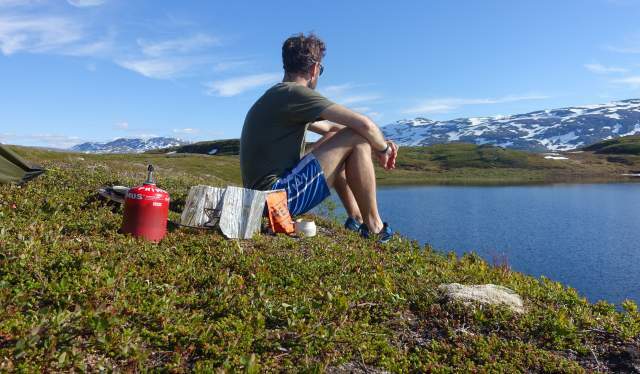 For Fredrik, his travels along the length of Norway was a journey through all the seasons in three months; Spring, summer, autumn and early winter. The long-distance walker says that it's heavy going in the rain, and when you're sleeping in damp and cold clothes, and then getting up and putting on wet clothes the next day. "I encountered all kinds of weather. There was snow on the plateau while I was there, and fresh snow on the mountain tops as I approached the end." "I hadn't expected so much snow. It was actually only on the leg from Trøndelag to Jotunheimen that I crossed through sections with no snow at all. Not all route options turned out to be smart choices, and I hadn't planned on getting sick." 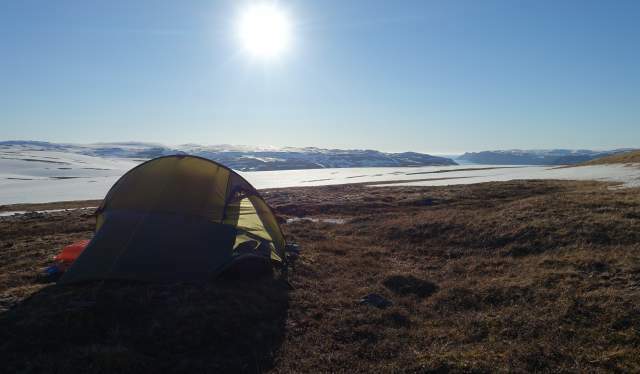 When Fredrik arrives at the Hardangervidda mountain plateau, he has 14 days left of his trip. But, for the very first time, he gets a stop he hasn't planned on. 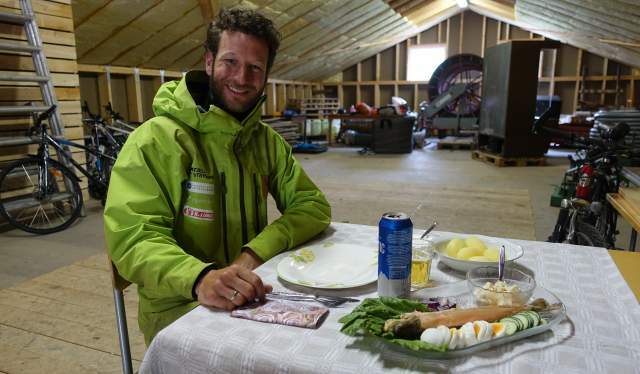 He is seven kilograms lighter than when he left Nordkapp, and his body begins to show signs of the 80 days he has covered on foot. He tries to keep walking for two more days, but his fever has a dishabilitating effect. He gives up and is bedridden for an entire week. "That was the first time I felt anxiety about not being able to do it, and not being able to complete the trip gave me an odd feeling. I was thinking "Screw this, I can't stop now". Fortunately, Fredrik managed to pull himself together, and his fever finally broke. "I had difficult moments and periods of being down along the way, but most of them were definitely good. It helps to have a mental backpack full of good feelings that you can pull out when needed. That's the trick." "I was committed to stopping for each person whose body language indicated that they wanted to talk," says Fredrik. 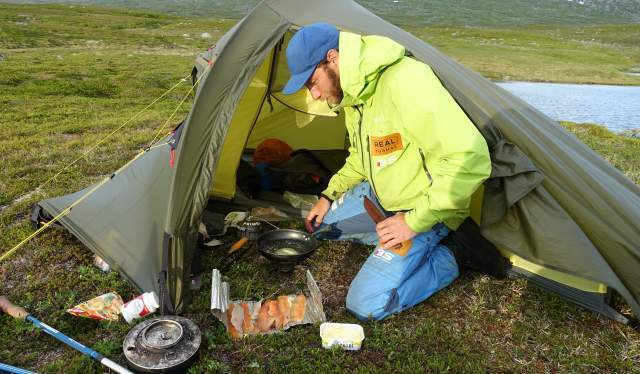 "When they realized I was walking the length of Norway, they treated me to the waffles. I stopped at ten waffles and don't think waffles have ever tasted that good," he laughs. Fredrik describes walking the length of Norway as three months of hiking amid richly varied nature: From the Finnmarksvidda plateau, alpine mountains in Troms, nearly 200 kilometres with a map and compass through marshy terrain in Trøndelag, to more mountains in Jotunheimen, the Hallingskarvet mountain range, Skarvheimen and the Hardangervidda plateau on the way further south. 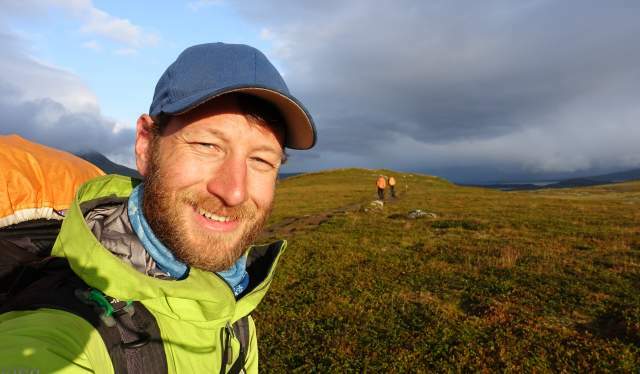 "One of the highlights was walking across the plateau from Kautokeino. You can see so incredibly far, and then you arrive at Reisadalen Valley, which is a giant gorge and Norway&apos;s version of the Grand Canyon. It was an awesome experience." 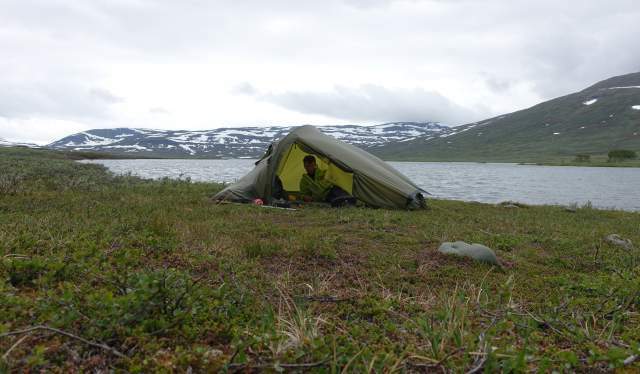 For wilderness lovers, Fredrik recounted his visit to the grandiose and splendid Dividalen Valley in Nord-Troms County. 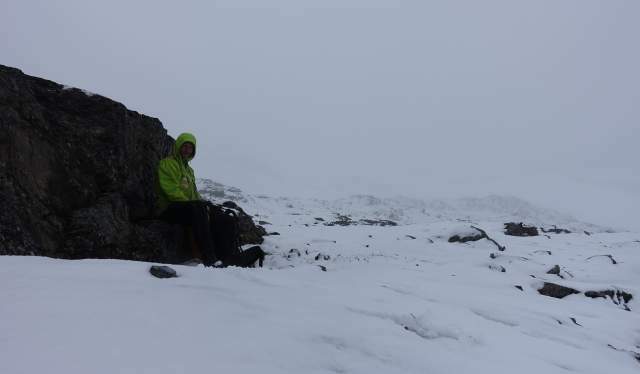 He spent six days walking there without encountering a single person. In Junkerdalen National Park, he experienced impressive flora. 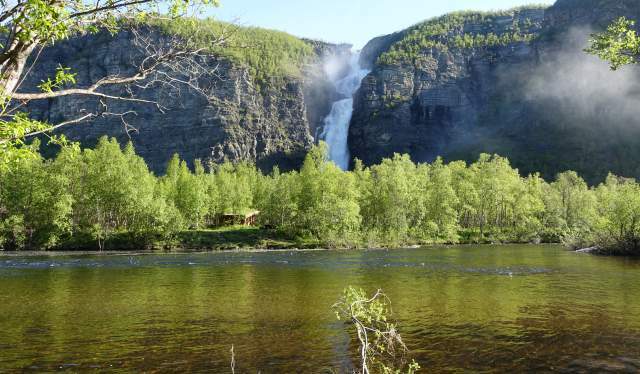 The National Park is easily accessible and suitable for shorter trips, while the Umbukta Mountain Lodge is a good starting point for beautiful walks in the area around Mo i Rana. "Børgefjell Mountain is also easily accessible and an incredibly beautiful wilderness area. 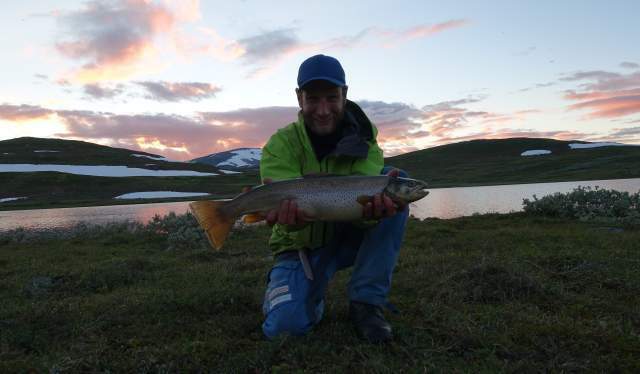 The area has fantastic fishing, and I got a new personal record with a 3.2-kilo trout" he says, satisfied. "By then, it was autumn and had become much colder. I was fairly exhausted in mental terms, so I had to man up and just keep going." The first thing that comes to mind when Fredrik thinks back to this past summer is freedom. "A tremendous sense of freedom. The freedom of knowing that I can walk as far as I want and can stop and stay somewhere for an extra day if I feel like it. As a result of that, I took numerous detours. "I have taken some trips previously, but have gained even more respect for the mountains. It is wild and beautiful, but also scary. "I had to wade across many rivers. You should never take chances, but sometimes you have to get across. It's in those moments that you must remain very focused, and train for it in advance." Before long, Fredrik will be able to share stories about more fun experiences in Norwegian nature. New trips are currently being planned. As soon as this winter, he will be taking 15 people along on a 4-day wilderness trip on skis from Stugudal in Tydal to Brøttem in Klæbu. In 2019, he will cross Norway and Sweden in a canoe or Packraft - a kind of an inflatable cross between a canoe and a raft. "The trip will go from coast to coast. From Bodø in Norway to Piteå in Sweden, and it will take a month. I have already told my employer and family."